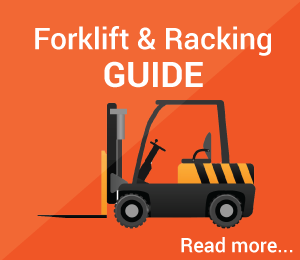 The Pallet Racking Website is exactly what it says it is: the website all about pallet racking and associated products. 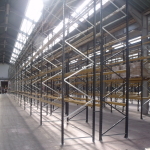 We hope to build it up to be a reference site for all things to related to warehouse racking. We intend it to be objective and as informative as possible. 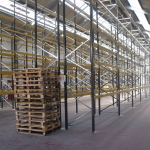 We are totally independent of any pallet racking manufacturer although we invite all manufacturers to check the details we have entered. We also offer the opportunity for manufacturers and suppliers to post case studies which we feel are relevant. These are paid for but are monitored by ourselves to ensure that they are informative and not sales oriented. 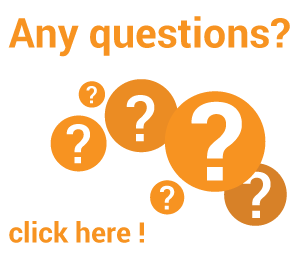 We appreciate that anyone interested in this website will either have a very unusual social life or they have a need to use pallet racking or anciliary warehouse equipment. So, at some time, the reader will begrudgingly have to spend money on racking products. Apart from the fact allowing paid for links and paid for case studies gives us an income the links also give the reader good contacts at least as good as any other Internet searching methods. We do not recommend any suppliers linked in this website but we ensure to the best of our ability that a distributor of a particular brand is actually a distributor. Furthermore if any company with a link on our site continually lets customers down we reserve the right to withdraw their link.